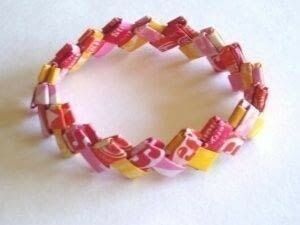 Inspired by candy/starburst wrapper bracelets, but transformed into one of my favorite accessories! Using the link to the starburst wrapper bracelet, create a chain using newspaper. I made rectangles 5 x 8 inches so that when the where folded they where about 1 inch wide and about 2 inches long (give or take). To keep the paper from opening up, I sealed it as I folded it with Modge Podge. I also modge podged the strips together. This prevents the belt from falling apart! 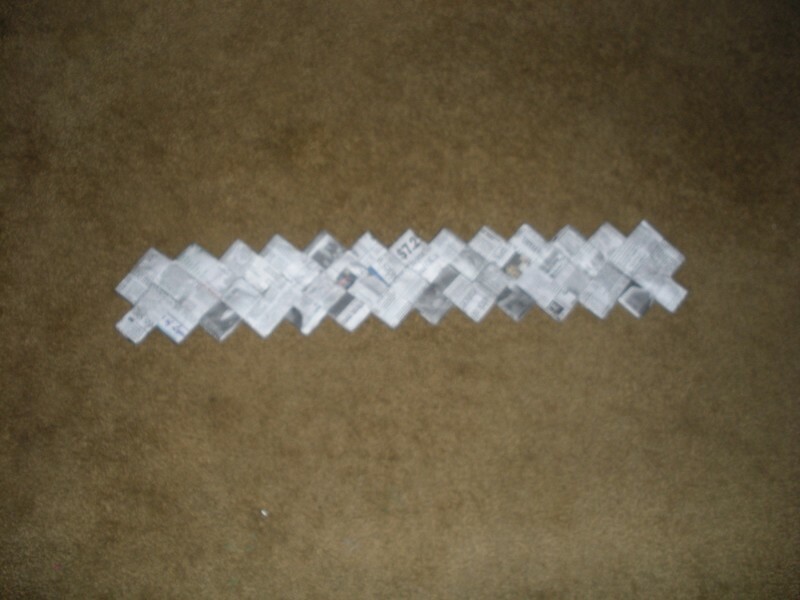 Once the strip is as long as you wanted (this varies depending on how high or low you want the belt to sit) Make another strip the same length. Line the teeth up with one another and begin to sew them together using a whip-stitch. 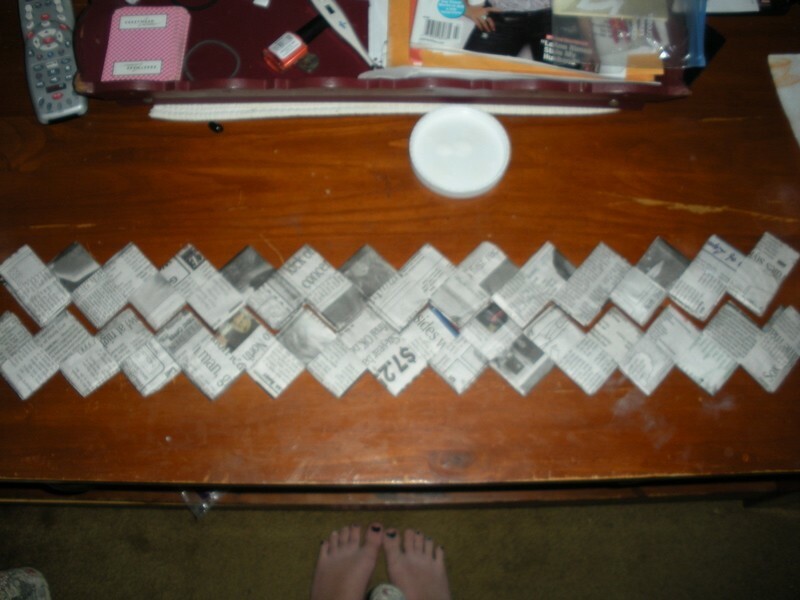 When done sewing, it should look like this, with no open spaces between the teeth. If the paper doesn't feel sturdy enough or if it feels like it might peel apart you can coat the whole finished piece with Modge Podge. 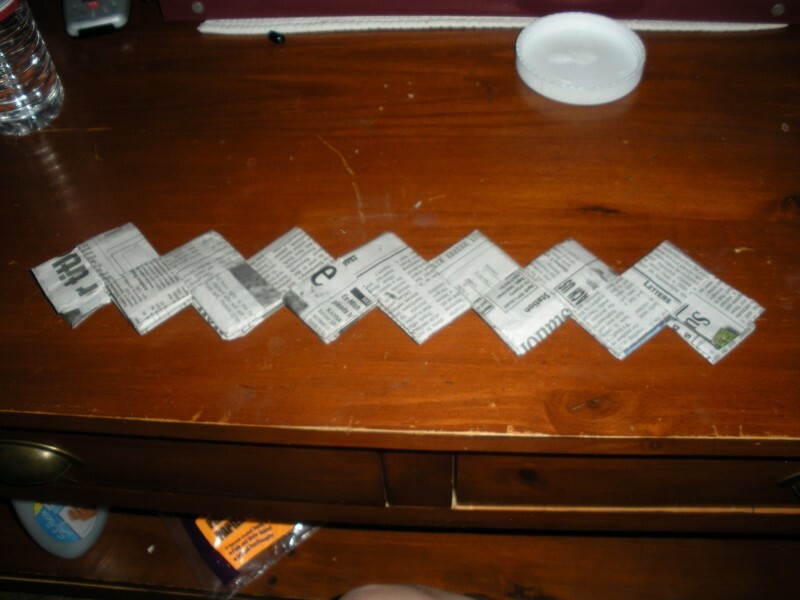 Next cut a piece of news paper in half and begin folding it and modge-podging it together until it is about 1/2 inch wide. Do this with the second half of paper so that you have to strips. 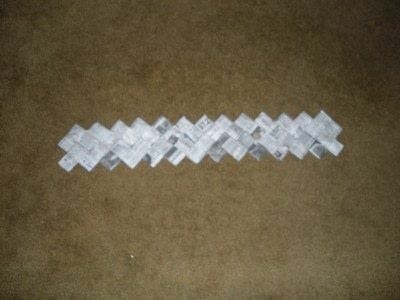 Place the strips about 1 inch inside the edge of the belt and about 1/2 inch apart from each other. 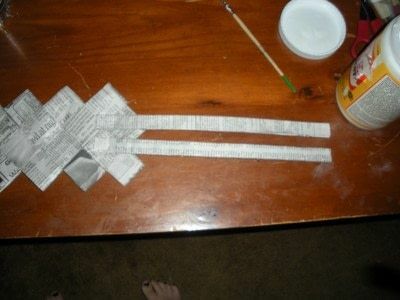 Stitch the strips onto the belt using a box stitch. 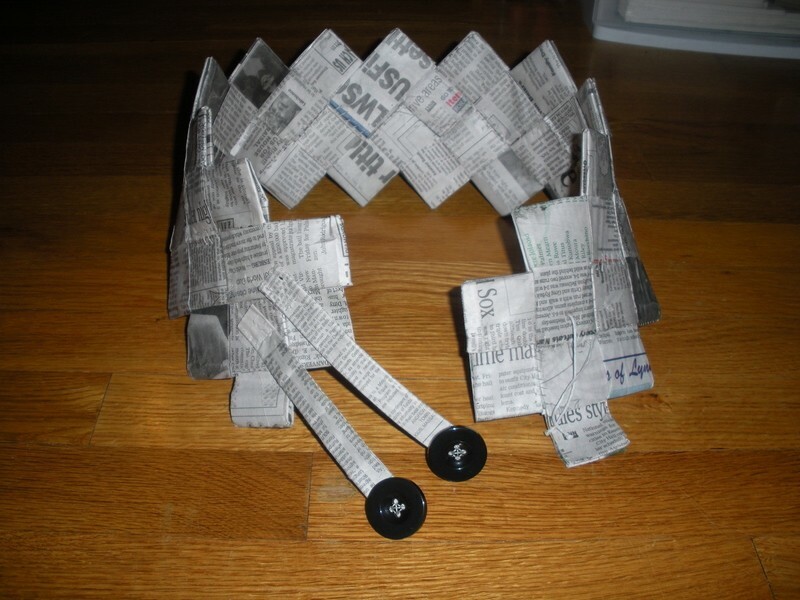 *it takes alot of muscle to get through all the layers of news paper, so be prepared to really push! Now, get your two buttons and stitch them to the end of the two strips. Then on the opposite end of the belt with no strips, mark two dots about an inch in and 1/2 inch to and inch apart from each other. Poke a small hole where each dot is and thread about 2 to 3 inches of embroidery floss through each hole. Knot both ends of the floss so it stays in place. *when you where the belt, loop the embroidery thread around the button until it is tight and secure. 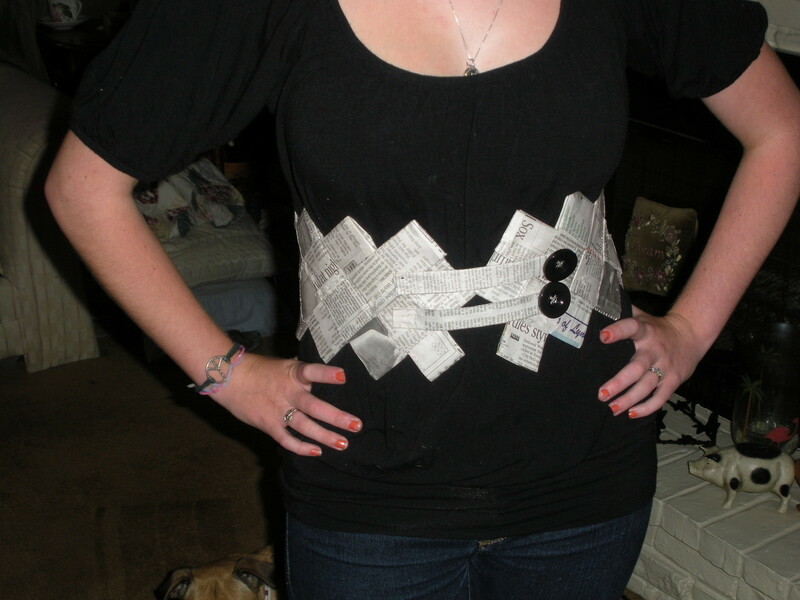 Feel free to add two extra buttons to the opposite side of the two strips so there are four buttons on the belt! Wrap it around your waist, cinch up your favorite top, and Rock it Out! This could also be made with magazines or other interesting looking paper! Great!! I haven't made a belt yet, must try!! lovely idea, i think you can make this much easyer by using an other technic , so that you don't have to sew all the pieces together, my dictoinary don't work anymore just now , so i don't know how to translate the methode.